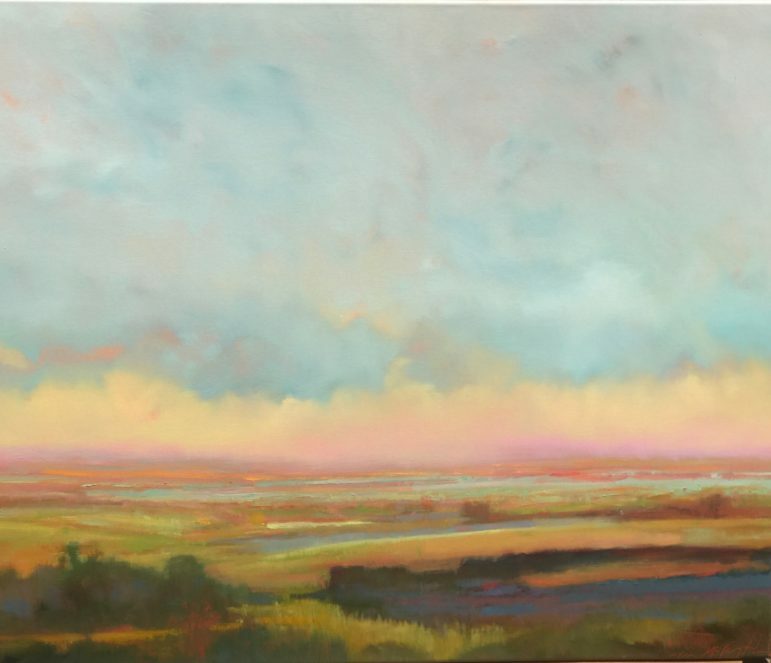 Will McCarthy will be teaching a workshop, “Atmospheric Landscapes” at the Rowayton Arts Center (RAC) during the weekend of April 27 and 28, from 10 a.m. to 4 p.m. on Saturday and 11 a.m. to 3 p.m. on Sunday. Back by popular demand, this workshop will inspire your imagination and loosen up your flow. William McCarthy engages the artist by sharing the techniques that enable him to paint from his imagination and achieve an atmospheric style that captures, in essence, the beauty and the emotion of the landscape. The day will begin with a lecture and demonstration and launches into a full day of painting and interaction. The second day will consist of starting new works as well as finishing up the previous day’s work, adjusting tone and adding detail bringing out the best in each image. Both oil and acrylic painters are welcome. The concepts taught are applicable to all. However, if you paint in acrylics, be sure to bring your own paints. Will McCarthy is a nationally-known artist whose works are in numerous public and private collections. He shows regularly in the Northeast and has been featured in American Artist Magazine. In addition to his workshops at RAC, he teaches workshops in Farnese, Italy and, recently, in Fort Lauderdale, FL. For more information visit williammccarthyfineart.com. The fee for the two-day workshop is $275. To register, please visit rowaytonarts.org/registration or call 203-866-2744 (x 2). The RAC Gallery and Art School overlooks the scenic Five Mile River in Rowayton, CT at 145 Rowayton Avenue. Darien Arts Center students and members of the DAC performance company will present Belle’s Adventures, a new original children’s ballet, on Saturday, April 6 and Sunday, April 7. Performances take place at 12 noon and 3 p.m. in the DAC Weatherstone Studio at 2 Renshaw Road, behind the Town Hall. The Rowayton Arts Center (RAC) is offering a creative writing workshop, “Art as Inspiration,” an inspired evening of art and writing on Wednesday, Feb. 27 from 6:30 to 8 p.m. Using the current Abstraction Exhibition as a portal into creativity, the group will engage in individual and collaborative exercises under the guidance of Liz Matthews.